Leadership differs from management in several ways. In this section we will show the main differences between them. Even though these concepts are being used for each of others purpose, their meanings are totally different. The main aim of a manager is to maximize the output of the organization through administrative implementation. To achieve this, managers must undertake organization, planning, staffing, directing, and controlling functions. Leadership is just one important component of the directing function. On the other hand, managers think incrementally, while leaders think radically. Therefore managers rule while leaders are followed. The other differences of these people are shown in the below table. He / She asks “how”, “when” questions. Source: Aylin Yücel, “Cinsel Role İlişkin Kalıpyargıların Lidere Atfedilen Özelliklere Etkisi ve Bir Uygulama”, (Marmara University, 2002), p. 10. For a better understanding, the differences of these terms are explicitly shown in the below figure. The performance of the organization is getting higher under the coordination of a leader where the performance of the organizations remains still under the managers management. 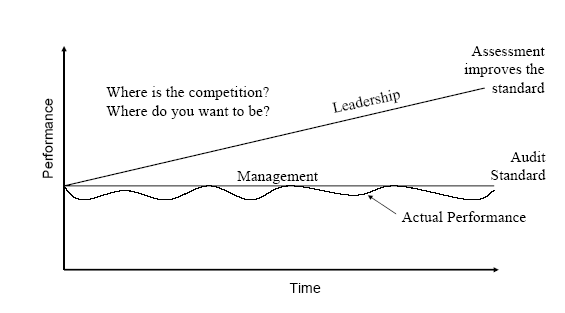 Source: John Latham, “What is leadership?”, http://www.drjohnlatham.com/filemgmt_data/files/What%20is%20Leadership.pdf,. Leadership and the term "lead"